We were reading in the British papers that Scotland Yard is busy testing a brand new, £300,000.00 (R5,400,000.00), BMW760 high security car, that is boasted to be the second most secure car in the world, second only to Barack Obama’s Cadillac One (AKA The Beast). It is rumoured that this is being tested for the use of Prince Charles and Camilla and is likely to offer a whole host of security features including bullet proof glass, body work, engine compartment, gas attack detection as well as protection, fire suppression, top level alarm systems to alert the special services of any situation (and from anywhere in the world), blast protection, run flat tyres, explosion protected fuel tanks (similar to those used in formula one cars), quick and secure exit systems, anti remote controlled explosive systems, anti-kidnap equipment and much more. Well, we at Blue Thistle Corporate Solutions, can offer much more down to earth versions of vehicles and can armour virtually any vehicle. We can also add quite a few of the ‘special features’ that are mentioned above (although not all of them). 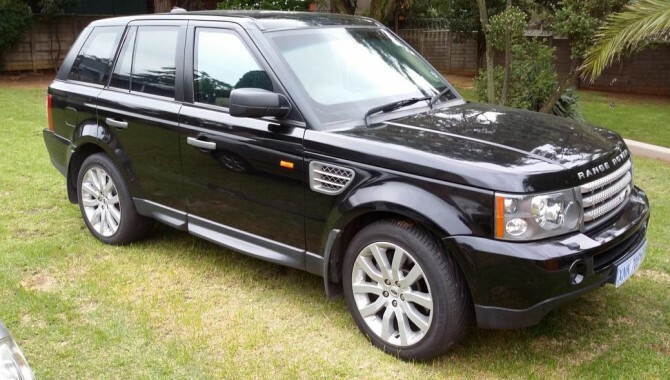 In general, prices for these types of vehicles are based on each individual customer’s requirements and specifications but we can tell you that some of our most popular armoured vehicles, the Toyota Hilux, Toyota Fortuner and our personal favourite the Range Rover Sport, starts from and around R1,100,00.00 – a mere fraction of the amount stated above. For this princely sum you will get your selected vehicle with glass and body work protection to NIJ Level B4, which will protect everyone inside from all rounds up to and including .44 Magnum, amongst others. Our customers can also get blast protection under the vehicle, run flat tyres, roof protection, explosion protected fuel tank etc. All of these, of course, are additional costs. All the armouring is carried out in our warehouse where they have had years of experience and practice in producing and using this kind of product. If our customers are also concerned about their time in the open whilst waiting for their Armoured Vehicle, then we have a whole range of Ballistic Body Armour and equipment available for viewing at our Company Show Room, at very reasonable prices. For enquiries on any of the above mentioned products, please contact our personal protection specialists.